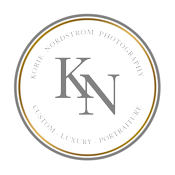 Hello and welcome to Korie Nordstrom Photography. We are so pleased that you stopped by to see what we are all about. We are a boutique studio offering on-location portrait sessions as well as studio sessions. Creating custom imagery is a wonderful process to be a part of for every family. Korie personally works with you to style and design your session starting at the Pre-Session Design Consultation. Korie will assist you with all details of your session including session concept, clothing, location and props so that you can have an enjoyable portrait experience which will result in images you will treasure for a lifetime. Our clients walk away from their portrait experience with beautiful, hand-crafted products that they can look at each day to help them remember the precious moments of life. Don’t let these precious moments pass you by, call or email today to book your portrait session.